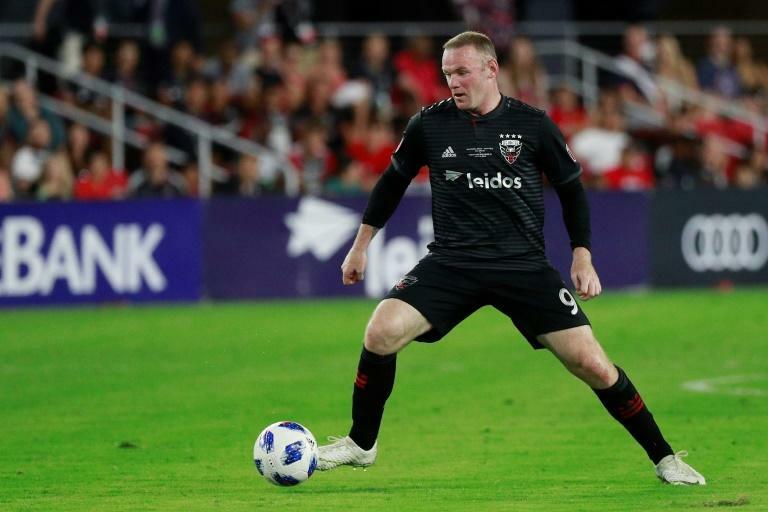 Former Manchester United and England Star Wayne Rooney scored twice to push D.C. United to a 3-1 victory over New York City FC and into the MLS Cup playoffs on Sunday. The victory in the penultimate weekend of the regular season capped a remarkable resurgence for D.C. United, who were languishing at the foot of the table when Rooney arrived in Washington in July. Until that point they had just two wins from 14 matches and appeared headed for another disappointing season. Now they have won 12 of 18 games to clinch their spot in the post-season. Rooney opened the scoring in the eighth minute, tapping in his team-leading 11th goal of the season after Luciano Acosta eluded three New York defenders to reach the end line and cut the ball back to Rooney. Acosta doubled D.C.'s lead in the 24th minute, curling in a strong shot from outside the area. Rooney converted from the penalty spot in the 74th minute after Alex Ring handled the ball in the penalty box. Spain's David Villa pulled back a goal for New York in the 78th minute, but his low shot that went in off the far post wasn't enough for a New York City FC side that had already punched their post-season ticket. Rooney's former Manchester United teammate Zlatan Ibrahimovic came through for an LA Galaxy team fighting for their playoff lives. Ibrahimovic's header off a cross from Rolf Feltscher in the 30th minute sparked the Galaxy to a 3-1 victory over Minnesota United that kept them in the hunt for a post-season spot. Ola Kamara and Romain Alessandrini scored two quick goals in the space of a minute in the second half before Angelo Rodriguez pulled one back for Minnesota. The victory coupled with Real Salt Lake's 3-0 loss to the Portland Timbers put the Galaxy just one point behind Salt Lake for the final playoff berth in the Western Conference with a game in hand. Portland sealed their own playoff spot, and the Galaxy can grab the sixth and final berth in the West with a home win against the Houston Dynamo next Sunday. The top spot in the West will be up for grabs in the final week after FC Dallas' 3-0 loss to Sporting Kansas City. That left Kansas City at the top on 59 points with Dallas and Los Angeles FC also in the chase. In the East, Atlanta defeated the Chicago Fire 2-1 to move closer to clinching the Supporters' Shield awarded to the team that tops the regular-season standings. The New York Red Bulls are the only other team in the hunt for the shield, a victory over Philadelphia putting them one point behind Atlanta.